With an army of stylists and makeup artists dolling them up for every event, Hollywood A-listers have no excuse for looking less than perfect on the red carpet. Here is our pick of the stars who need to enroll in a refresher course for styling judging by their appearance on the red carpet at the Golden Globes. Lana Del Rey looked more like an overgrown disney princess than a red carpet diva in this nightmarish over-pleated mint Travilla gown. Rosamund pike looks like she missed a fitting or two for this awkward Vera Wang number. That dress looks like it’s going to slip any moment. Laura Prepon’s needs to fire her stylist. This Christian Siriano dress is too busy between the ruffles and swirls. The ‘Orange is the new black’ star also fails miserably at accessorizing. The arrow actress could take a leaf out of Kate Hudson’s style book on how to show skin with . Her slashed silver and black gown is more trashy and less classy. he newly pregnant Keira Knightly looked matronly in this custom Chanel dress that reportedly took over 30 people to make. The butterfly print design made the normally chic star look dowdy. Claire Danes’ failed miserably in this V-neck Valentino gown that was too busy for the red carpet. A big thumbs down from the fashion police. Someone tell Cindy Crawford it’s not the 90s anymore. 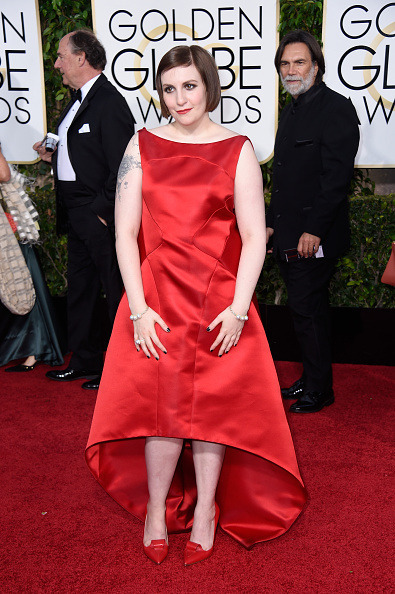 Lena Dunham needs a stint in the fashion rehab judging by her awkward appearance in this high-low Zac Posen dress. 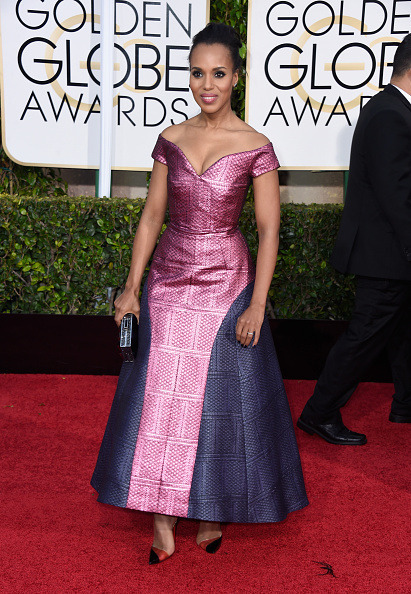 Kerry Washington’s two toned purple frock is just shy of a disaster.